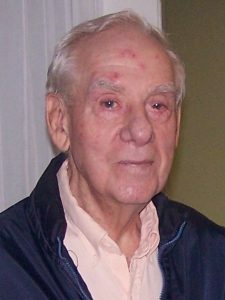 Reverend Henry Julius Linse, C.S.S. of the Stigmatine Fathers, Waltham, MA died on January 16, 2015, at Marian Manor, South Boston, MA. He was 95 years old. He was born on September 15, 1919, in Boston, MA. His Father, Francis Xavier, was born in Germany and his Mother, Hirlanda (Hergenhan) was also born in Germany. He had four (4) brothers, now deceased: Joseph, William, Francis and Fr. George Linse, C.S.S. and one (1) sister, Marie Miller, also deceased. Father Linse entered the Stigmatine Fathers in September 1938. 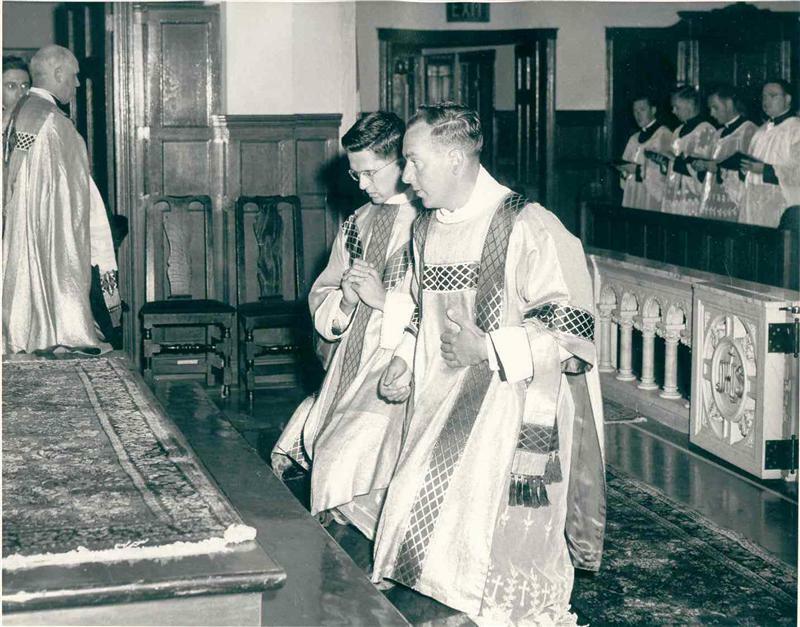 His First Profession as a Stigmatine was on September 9, 1940 and his Final Profession of Vows was on September 9, 1943. 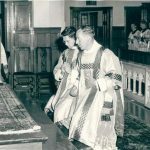 He was ordained to the Holy Priesthood on June 12, 1948, at Saint Paul’s Church, Wellesley MA by Bishop (later Cardinal) John Wright. During his years of priestly ministry, Father Linse served in the following assignments: Chaplain at Shirley and Concord State Prisons, Director of the Novitiate, Waterville, N.Y., Teacher in Guam, and as parochial vicar at Mt. Carmel Parish, Springfield, Mt. Carmel Parish, Pittsfield, Mt. 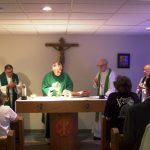 Carmel Parish, White Plains, N.Y., All Saints Parish, Manassas, VA, Our Lady of the Angels Parish, Woodbridge, VA and as pastor of St. Francis Parish, Lynn, MA. 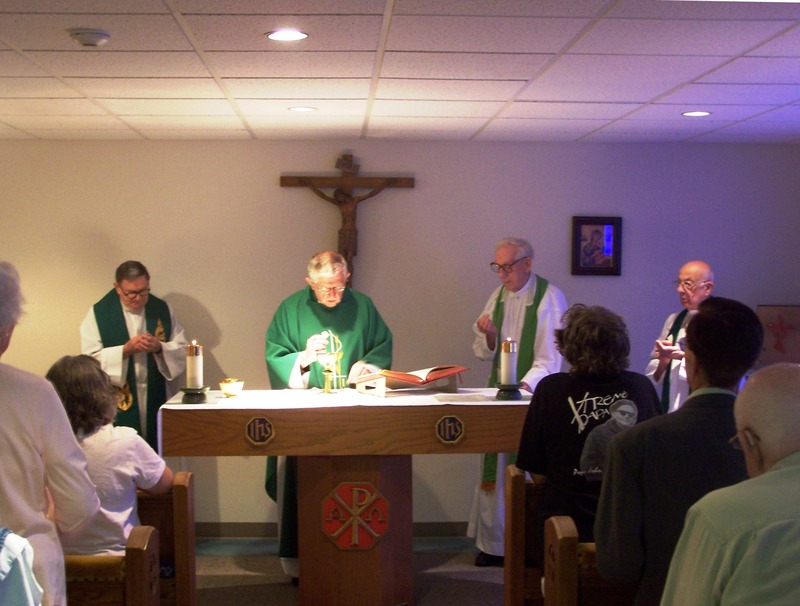 He also served as a lend-lease priest at St. Joseph Parish, Lewiston, Maine and St. Mary’s Parish, Biddeford, Maine. Father Linse’s Wake will be held at Sacred Heart of Jesus Church, Milford, MA on Wednesday, January 21 at 9:00 A.M. followed by his Funeral Mass at 10:30 A.M. He will be buried at Sacred Heart of Jesus Cemetery, Milford, MA following the Funeral. The Stigmatine Fathers are very grateful for the wonderful care Father Linse received at Marian Manor, So. Boston, MA by the Carmelite Sisters for the Aged and Infirm and all the staff at this facility.